Got dry and discoloration on your hands’ skin? 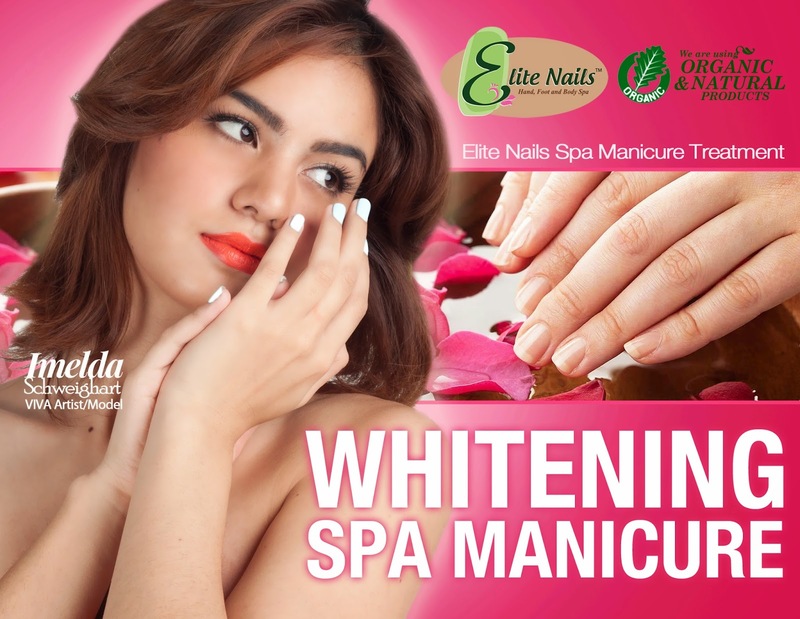 Get a quick fix with Elite Nails’ Whitening Spa Manicure! Pamper your hands with a little extra TLC to fix the dryness and replenish moisture to the skin. This ultimate, an-hour treat will initially drench and immerse your hands in warm water to soften dry and flaky skin then Elite Nails Spa’ specially concocted whitening scrub is applied generously for radiant, white, supple skin. The rich whitening mixture will do its seeping through the dermis of your skin while your nails are shaped, filed and trimmed. The arms will surely be treated with a relaxing stroke from our skillful massage therapist, a guarantee to make you feel better even more. For finale, we have featured nail polish from these renowned brands - OPI, Orly, China Glaze and Korean-made nail lacquers that will give your nails a lasting brilliant color. Now your hands can withstand any weather condition and will bring back the confidence to give any one a high-five! Try out our Whitening Spa manicure today! To know more about this treatment or other Elite Nails Spa's packages, or you want to book an appointment soon, you may call in these numbers (02) 546-6607, 0917 8086950, 0921 5918801, 0932 8919318, 0908 8693624 - or visit our branch near you!